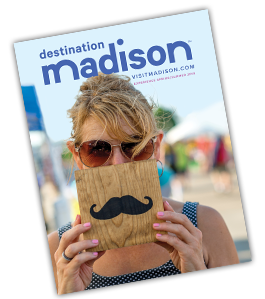 This annual sidewalk sale and community event showcases Madison's unique State Street and Capitol Square shopping district. More than 100 shops, boutiques, galleries and restaurants -many locally owned - offer terrific bargains on clothing, jewelry, gifts, sporting goods, artwork, food, drink and more! Come down to shop 'til you drop!